Thank you all of you for your continued loyalty and support. The latest Mortgage Executive Magazine has been posted and we have made the 2018 Top 1% of Mortgage Originators across the U.S. Thank you again for all your support! Ranked Top 1% loans closed. Ranked Top 1% in Dollar Volume. Come and join us each week for our Loan it & Own it Show, where we talk shop with successful business people and entrepreneurs in the Arizona Market. We’re confident that as you hear the conversations unfold each week, and see the caliber of our guest’s, it’ll come as no surprise as to what has propelled us past $175M in loans closed! Join us every Friday LIVE on the Loan It and Own It Show as we interview different Entrepreneurs to learn about their stories. 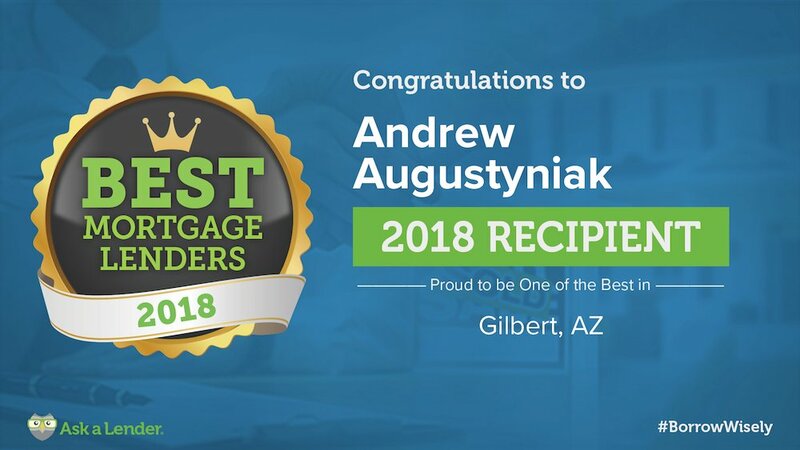 Brought to you each and every time by The Augustyniak Team of Peoples Mortgage, your Preferred Home Lending Team. Shout out to our producers at Lister Pros for all of their amazing work in the studio, and with this promo! Realtor, Dad, Baller! Live with Ryan Hatch! Real Talk With An Appraiser - The Questions We All Have! With guest Chris Castle! 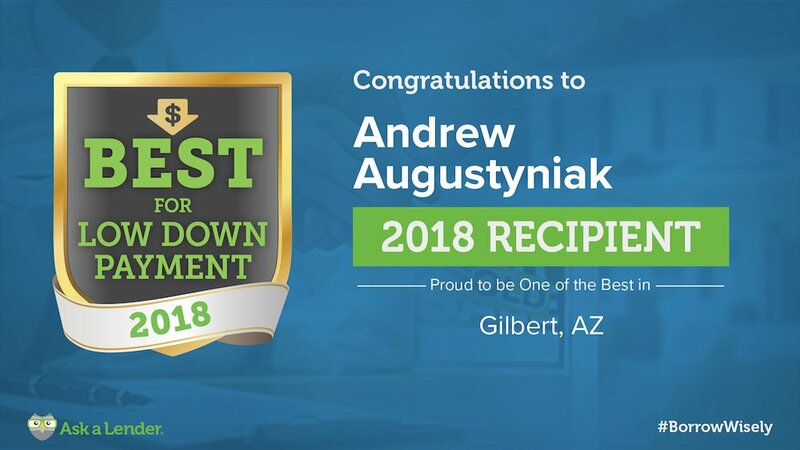 Andy and his team have been nothing but outstanding every step of the way. I honestly could not have asked for a better group of people helping me to achieve my dream. The team was kind, patient, and extremely personable. 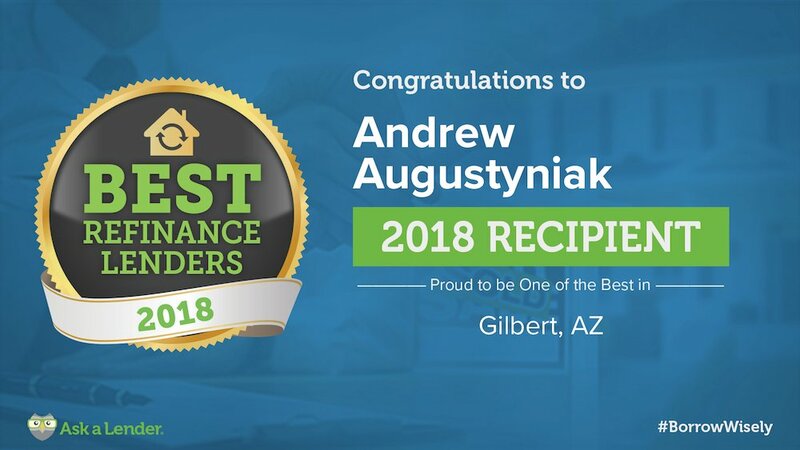 I was very impressed with the level of service my wife and I received from Andy and his team. From the time I engaged them with the refi of my home the entire process from start to close was completed in 2wks. *Certain restrictions apply. Not available in all areas. Please contact your PrimeLending loan officer for more details.